KABUL, Afghanistan — U.S. Defense Department officials have identified five U.S. soldiers, including a colonel and two lieutenant colonels, killed by a suicide bomb in Afghanistan's capital this week. The Tuesday blast killed at least a dozen civilians, five U.S. troops and a Canadian service member, officials said. It occurred on a busy road near a NATO-led military convoy and a registration center for the Afghan Army. 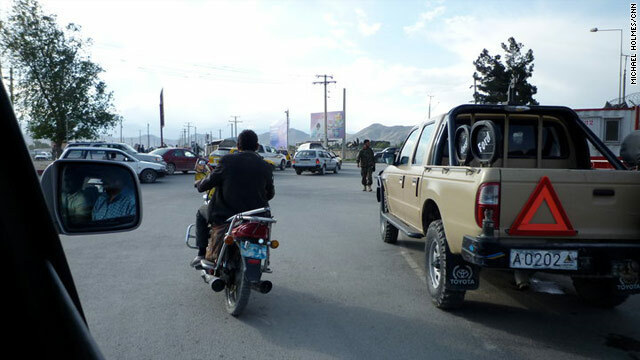 KANDAHAR, Afghanistan — It takes guts to be a policeman in Kandahar. You're a prime target for the Taliban, the local population has little trust in you and until recently you were ill-trained and ill-equipped. All of the above may have changed only slightly but police commanders say things are at least moving in the right direction. Mohammad Shafiq Afzali is police commissioner in charge of six provinces. Little surprise, he rarely finds time to leave Kandahar. He acknowledges the support of the locals is lacking but insists it's changing as the image of the police is improving.